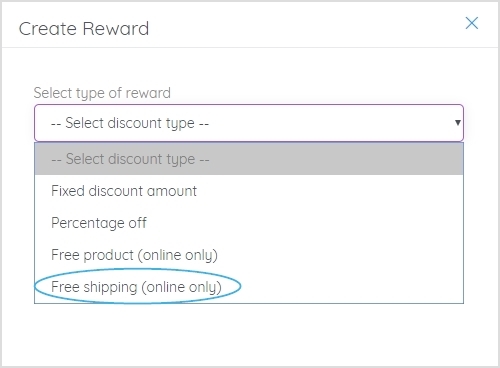 📝 Note: This reward type is online only. 💡Pro Tip: It’s important to be sure you also include the relevant terms and conditions for rewards. 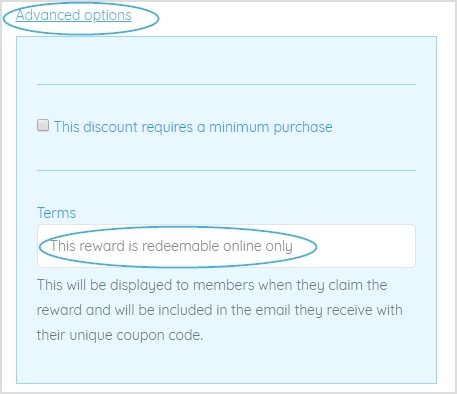 Whether it's to encourage fair use or to protect your store, outlining exactly how and when your rewards can be redeemed ensures that your rewards are used as you intend them to be used.